Dustin Ross and Dan Eckstein created StudioBooth in 2008 looking to redefine the event photography experience. 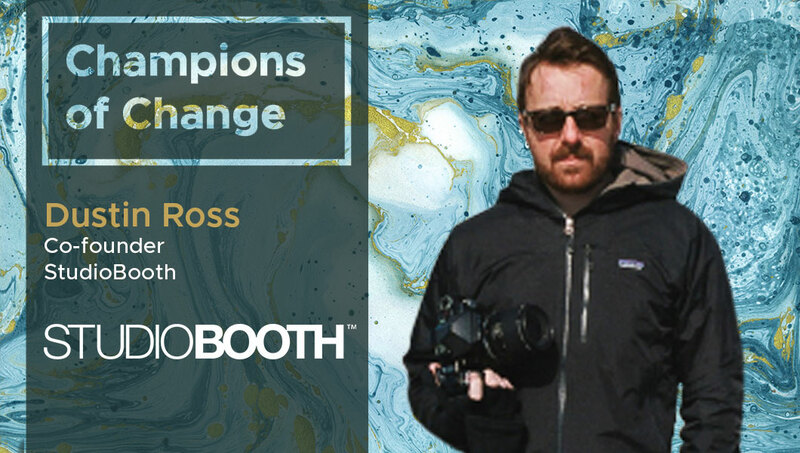 Dustin Ross: StudioBooth creates high-end photo and video activations at events and also creates custom content for brands. We have worked with many of the world’s biggest brands but also create amazing photo and video experiences for private events as well. Our goal is to evolve with technology, incorporating it into our setups. We started in 2007 in New York City just when the digital photo booth experience was brand new. We have now grown into a multidisciplinary service with offices in New York, LA and San Francisco. Dustin Ross: In our industry it’s do-or-die in terms of keeping up with the latest tech trends. Our clients always want what’s new. Clients look to us to integrate new technologies as they become available. It’s certainly overwhelming but also part of the fun. I love learning about new tech and thinking about how we can make it a part of what we do. Dustin Ross: Multi-cam technology has become a big part of what we do over the last three years. This was popularized by the Matrix films and is also known as a Bullet-Time or Time-Slice technique. We have many different setups we customize using multiple DSLR cameras to create amazing videos that give a deeper sense of space and time. Guests are able to see their portrait for example from many angles as the video plays through all the frames. It’s a really cool technology and I’m excited to be able to announce that we are going to be offering a photo booth for sale that will let others use this technology. It’s called ArrayBooth and is a 6 camera multi-cam photo booth that we will be selling starting at the end of this month. Dustin Ross: Honestly, it’s hard to pick just one. From high end slow motion video, to using steadi-cam setups on site, to creating massive multi-cam rigs for special events like ComicCon. More important than one single technology for us, has been looking at all the new photo and video tech and deciding what we can integrate into our setups to allow guests to create amazing photo and video output and be able to share it on the spot to their social channels. Dustin Ross: No, this doesn’t really apply to our work. We are all technologists to some degree here. Dustin Ross: We are looking to grow the business further. One of our biggest challenges is being able to offer customized, hand tailored solutions on a bigger scale. Dustin Ross: Not really, we have mobile versions of our websites that work really well and were designed to be optimized for mobile viewing. Dustin Ross: I follow some good Instagram tech companies like Verge and Engadget. Their websites are also great. For direct photo inspiration I look to PDN magazine and Digital Photo Pro. I follow a lot of photographers and videographers on Instagram and also look at what our competition is doing. Dustin Ross: Definitely Instagram for what we do.